Most of the best celebrations have an accompanying cake — birthday cakes, wedding cakes, housewarming cakes… (That might not be a thing, but it should be.) And then there’s Mardi Gras, the enthusiastic embrace of excess before Lent, and its accompanying and aptly named cake: the King Cake. King Cakes are kind of more bread than cake (made with brioche dough, shaped into a ring), but their beauty and depth befits their city of origin, New Orleans. They’re usually infused with cinnamon and stuffed with sweet fillings — cream cheese, chocolate and an array of fruits are common — and topped with a sweet glaze and colorful sprinkles, in the royal colors of Mardi Gras, gold, green and purple. A little plastic baby figurine is often hidden inside the cake, too, and the finder of said toy is supposed to also have also found good luck. Less so if he or she accidentally eats the plastic baby, but nevertheless. 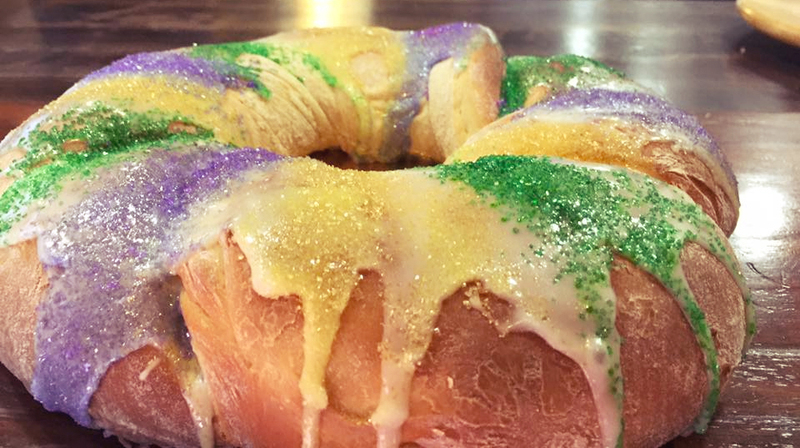 Mardi Gras 2019 falls on Tuesday, March 5, so we have a little time to play with here, but if you want a proper King Cake in Nashville, you’ll need that time to research, plan and order ahead. To help a little with the former: Below, a collection of Nashville-area bakeries and restaurants that all offer impressive takes on the famed, colorful and delicious King Cake. Routinely called the best place for Cajun food in Nashville, Bro’s Cajun Cuisine naturally offers King Cakes every year. They haven’t updated their website with an ordering deadline for 2019, but if you stop by 3214 Charlotte Ave. in West Nashville for gumbo or frog legs, they should be able to give you the low-down. 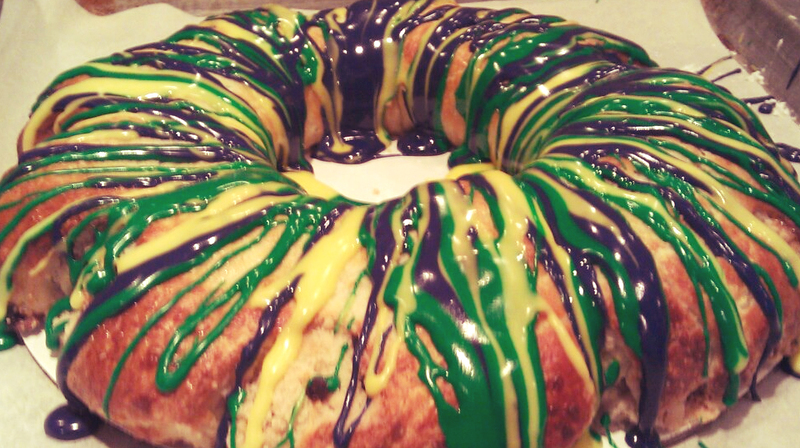 Traditionally, Bro’s has had small and large King Cakes available, priced from $25-$45. 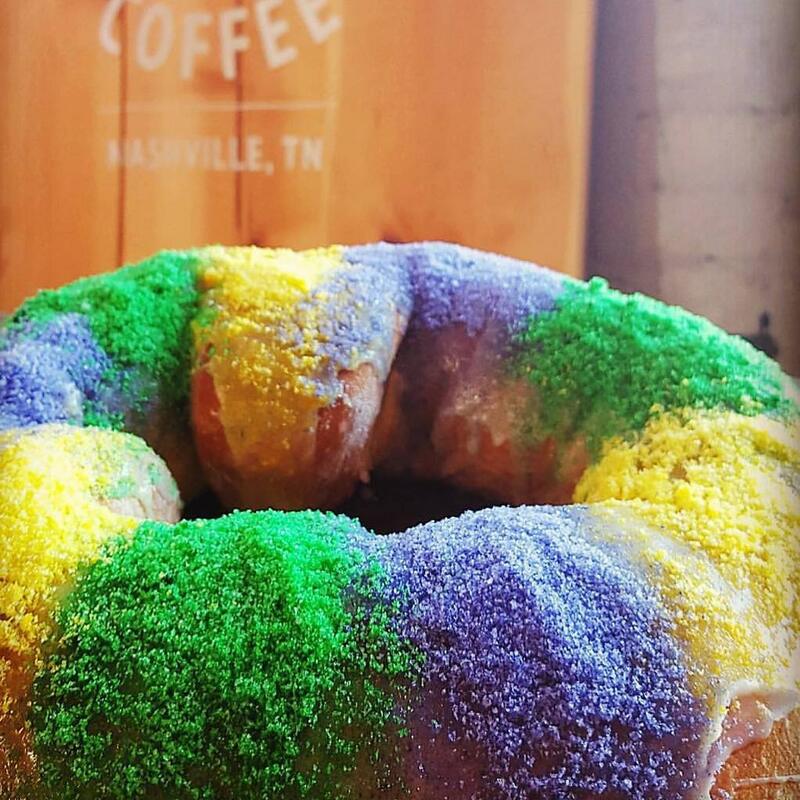 Long-standing Nashville bakery HomeStyle Bakery, serving up sweets here in Music City since the ’70s, does about everything a bakery might do — custom cakes, cupcakes, cookies, pies… and, of course, King Cakes for Mardi Gras season. All of their King Cakes are made to order at their place in Antioch, so you’ll need to call or email to get yours going: 615-367-2355 or info@homestylebakery.com. Now settled in their new East Nashville home (1012 Gallatin Ave.), Slow Hand Coffee + Bakeshop has King Cakes up for pre-order, to be picked up at the shop on Tuesday, March 5. Along with traditional cinnamon, they’re offering pecan praline and cream, orange bourbon, and apple and lemon cheese, too. (Traditional cakes are $25, non-traditional flavors all run $30 a cake.) Order in-store or by calling 615-730-8032. When you think of the Peach Cobbler Factory truck, you probably think of… peach cobbler. 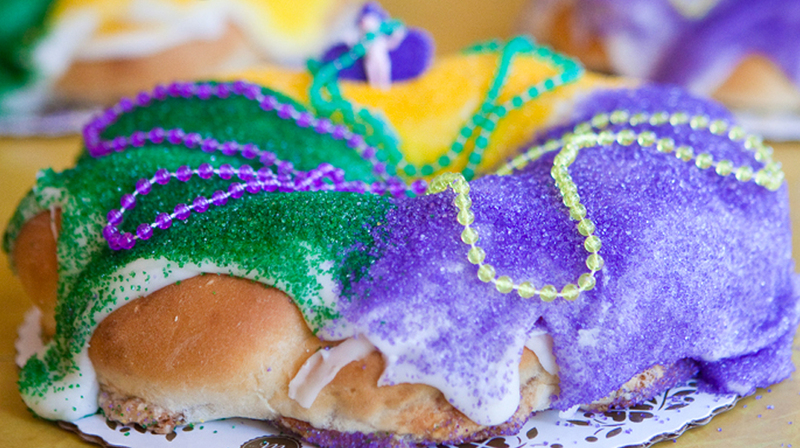 Could you be convinced to think of peach cobbler-stuffed King Cake? Because they’re serving that up too. Check out the Peach Cobbler Factory's Instagram feed to see where they’ll be day to day, or call 615-592-5170 to order a King Cake (traditional cinnamon is available too). Not huge on sweets but still inclined to get into the Mardi Gras mood? Maybe try a caffeinated take on the king cake: Killebrew Coffee, located in the Thompson Nashville hotel downtown, is serving a King Cake Latte for the 2019 Mardi Gras season, made with cookie butter, house-made caramel, cinnamon and orange peel, plus your choice of milk. 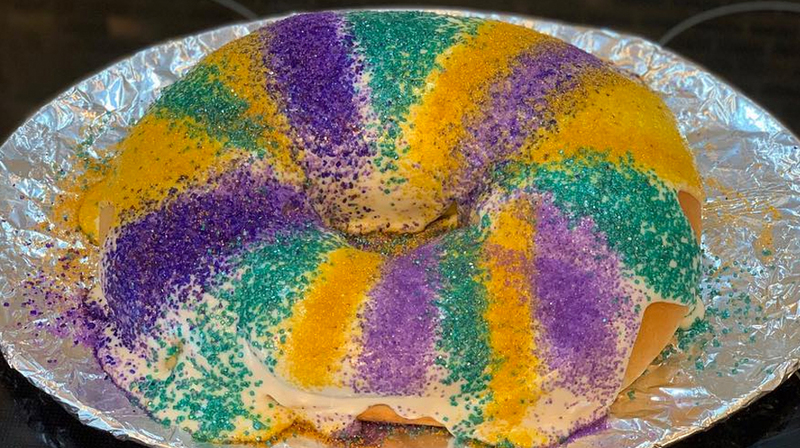 Hope one of those manages to help your 2019 King Cake cravings in Nashville/nearby. If you’re hoping to roll into spring celebrating in a slightly different way — specifically, closing on a new home in Nashville — I’d be thrilled to help there too. 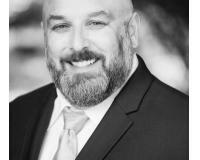 Take a look at some Nashville homes for sale, and call or email TJ Anderson Homes.